We’ll be playing in the snow before we know it and as the season begins to shift, it often means our appetites do too. Cravings for margaritas are replaced with those for hot toddies, gazpacho is replaced with hearty chili and stews, and grilling gives way to spit-roasted leg of lamb. We’ve rounded up a few fall menu items from area restaurants that are sure to comfort, keep you warm, and help get you ready for a great winter ahead. Powder’s Clam Chowder, a contemporary twist and presentation of traditional chowder, is sure to warm and sooth your soul. 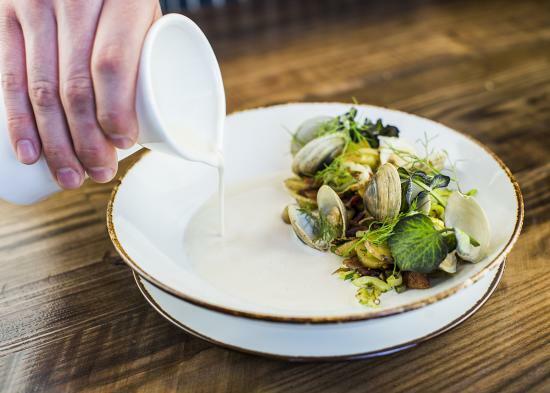 The chowder currently rotates onto the restaurant’s fall prix-fixe dinner menu, but will make a permanent appearance for the winter starting December 1. Powder Restaurant, located in the Waldorf Astoria adjacent to Canyons Village, is open 6:00 AM-9:00 PM Sunday through Wednesday, and 6:00 AM-10:00 PM Thursday through Saturday. Who doesn’t love fried chicken? 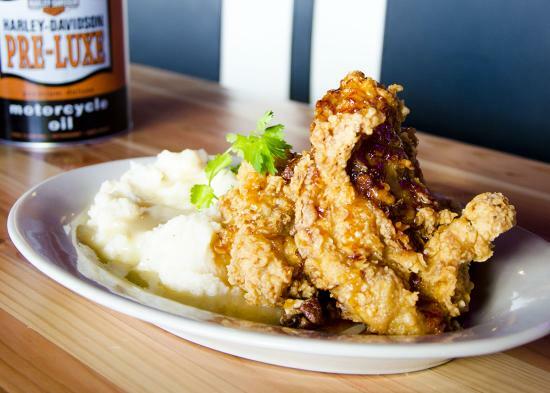 Billy Blanco’s recipe offers a delicious take on traditional fried chicken – a little extra crispy, served with a side of chipotle honey. For those who like an extra kick of spice, try the &apos;Stan’s Hot Chicken&apos; version. Billy Blancos, located in Quarry Village just off Interstate-80, is open throughout the fall from 11:00 AM-9:00 PM Sunday through Thursday, and 11:00 AM-10:00 PM Friday and Saturday. A guest favorite that reappears on the menu year after year, the Stein Eriksen Lodge Wild Game Chili features a delicious combination of buffalo, elk, wild boar, with a bit of spice to round it out. 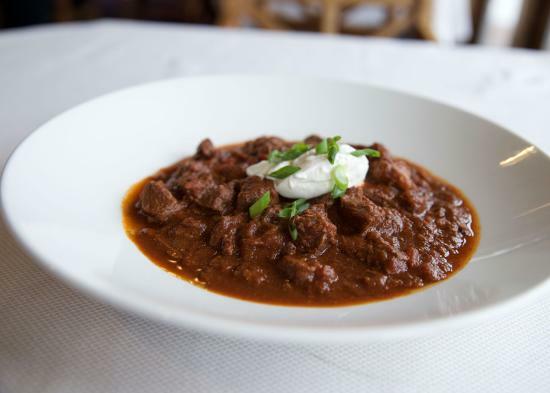 Served in the lodges’ Troll Hallen Lounge, the Wild Game Chili is hearty enough to be a meal or a great starter option to share. Accompanied by stunning mountain views, it doesn&apos;t get much better. Troll Hallen Lounge, located in Stein Eriksen Lodge in the Silver Lake area of Deer Valley Resort is open from 7:00 AM-Midnight seven days a week, serving from different menus throughout the day. Curry is a perfect dish to keep you warm during the fall months, but it’s not always easy to choose just one of Good Karma’s delicious authentic recipes. 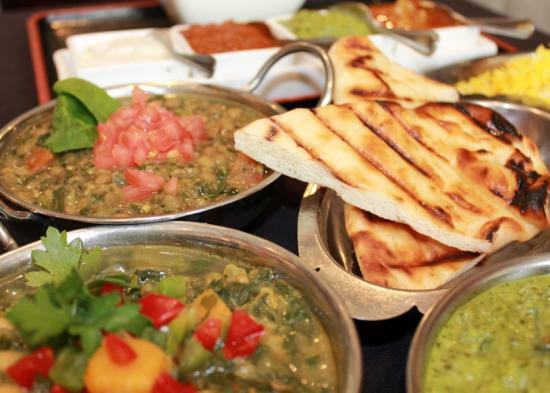 Order the Good Karma Curry Sampler, and you can try any three of their meat or vegetarian curries, served with house chutney and naan. Try the lamb, chicken, or one of their many masalas. You won’t be disappointed! Good Karma, located in the Prospector neighborhood, is open 8:00 AM-2:30 PM and 5:00-9:00 PM seven days a week. Who said comfort food can’t be healthy? Vessel Kitchen, a new addition to the Park City restaurant scene, strives to offer healthy, high quality food at a reasonable price in a relaxed environment. Try the &apos;Hash Hash&apos; bowl, a new addition to Vessels hearty fall menu. 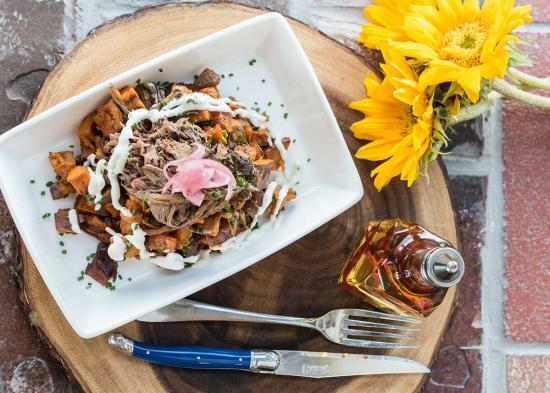 Served hot, this bowl features sweet potato hash, braised beef, feta, pickled onion, chives, and a horseradish aioli. Vessel Kitchen, located in Kimball Junction, is open 11:00 AM-9:00 PM Monday through Friday, and 8:00 AM-9:00 PM Saturday and Sunday.